Q. WHY THE NEED FOR A WORK EXPERIENCE AGREEMENT? In today’s competitive jobs market it is more important than ever for young people and those seeking employment to have evidence of ‘quality’ work experience to enhance their CVs and job applications. Working in collaboration with local education & training personnel, employers and young people themselves, Galway City Partnership has produced a quality framework for work experience called the ‘Work Experience Agreement’. 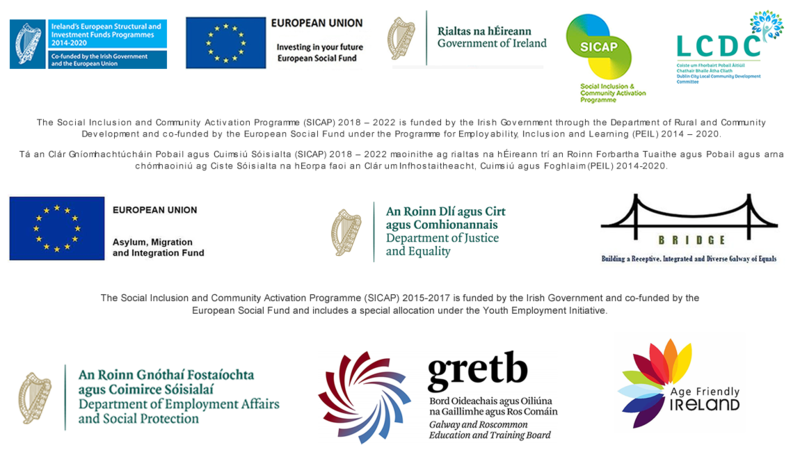 Based on examples of industrial best practice (BITC, CIPD), recent research from the EU and recommendations arising from the Ballymun ‘Youth Guarantee Pilot’ both the trainee and the employer should adhere to a simple quality framework for work placements – referred to here as the ‘Work Experience Agreement’. Q. WHAT DO YOU MEAN BY A ‘QUALITY’ WORK PLACEMENT? Meets the aspirations of the person on placement – is useful and meaningful to them. Helps the individual to progress their career plan – contributes to the advancement of the individual; gives them something new & meaningful to add to their CV. Provides a ‘good fit’ between the employer and the trainee. Q. WHAT ARE THE AIMS OF THE WORK EXPERIENCE AGREEMENT? To help the individual on placement receive a meaningful, quality work experience. Q. HOW CAN THE WORK EXPERIENCE AGREEMENT HELP EMPLOYERS? An end of placement review or ‘exit’ meeting. It makes work placements more manageable for employers. It is flexible enough to be used by a range of employers irrespective of size and business sector. NOTE: The Agreement is not intended to be a prescriptive, comprehensive work placement guidebook! (GCP can provide guidance on such a document if this should be required). Q. WE ALREADY HAVE GOOD ARRANGEMENTS FOR WORK PLACEMENTS, SO IS THE WORK EXPERIENCE AGREEMENT OF ANY USE TO US? The Work Experience Agreement is not intended as a replacement for existing good practice! Where these exist, it might best be viewed as a useful complement and support to the employer or training/educational organisation’s existing policies and procedures. The Work Experience Agreement – with its 5 Key Principles & focus on the provision of quality during the placement – is flexible enough to be accommodated within your existing arrangements. Q. WHICH EMPLOYERS HAVE HELPED WITH THE AGREEMENT? Q. WHERE CAN I GET A COPY OF THE AGREEMENT?